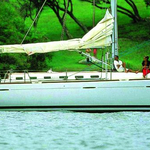 In 2007 has been built yacht First 47.7 named Kereon Bleu . This yacht is available from harbor Palermo around Sicily in Italy. You can take in up to 10 pax on the boat Kereon Bleu . Scheme of beds is 10 (8+2). There are 4 bedrooms located below boat's deck. Kereon Bleu has 2 heads with showers. You can find different boats by clicking on this link: Yacht charter Sicily. In this sailboat there is engine 75. 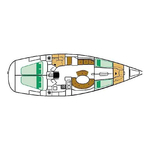 With 14.50 m of lenght and 4.50 meters of width Kereon Bleu offers enough space for comfortable sailing. 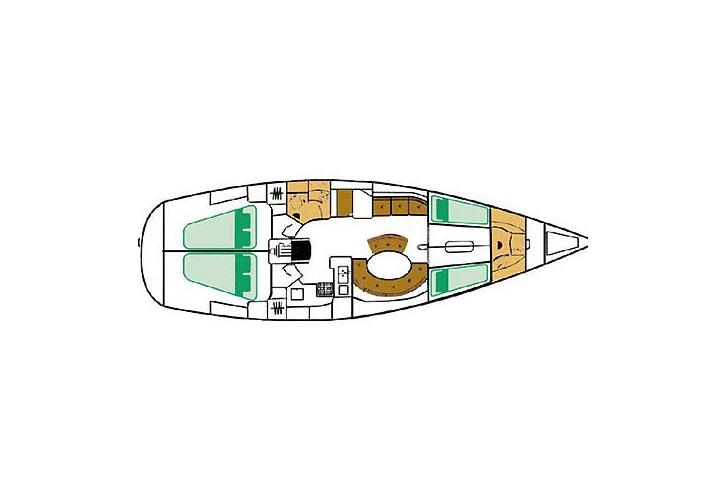 First 47.7 Kereon Bleu is equipped with: Icemaker, TV, DVD player, generator, Dinghy, Teak deck, Anchor electric windlass, Bimini top, Teak cockpit, Autopilot, Gps plotter, Bow thruster, Mainsail with lazy jack. . Security deposit has value 3000.00 EUR. Use the search engine for search for other boats by going to this section: Yacht charter Palermo.